Lots of places have been refurbished from storm!! Call and book your summer rental, places are going FAST. Emerald Isle is one of North Carolina's best beach locations. CENTURY 21 Coastland Realty is one of Emerald Isle's oldest and best companies. In business since 1981, we are here to stay because of quality guest and owner services. 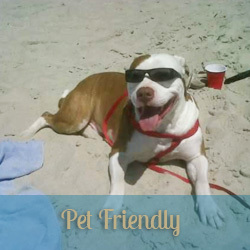 We offer beach vacation rentals and permanent homes in Emerald Isle, Salter Path & Indian Beach to rent or buy! Emerald Isle is located on the southern most island of the Outer Banks. It remains untouched by over development and its natural beauty today is still breath-taking. 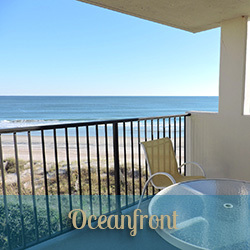 There are few hotels in Emerald Isle so the best and most affordable lodging is Vacation Rentals. 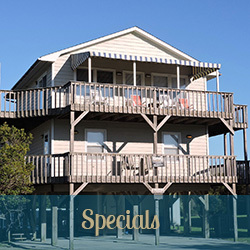 We have Emerald Isle Vacation Rental and Sales properties that are affordably priced for the budget minded and/or elaborate enough for the most discerning. Emerald Isle NC is known for its natural small-town, friendly lifestyle. The name Emerald Isle came when the original developers flew over the island and all they saw was green. Many areas still have the maritime forests that they witnessed. Emerald Isle is loaded with great parks, hiking trails, bike trails, boat ramps and, of course, our beautiful beaches. Festivals and music abounds during the summer so there is always entertainment for the entire family. Our CENTURY21 Coastland Realty Sales and Rental Staff are waiting to serve and show you just how great island life is in Emerald Isle. We hope to be hearing from you soon.